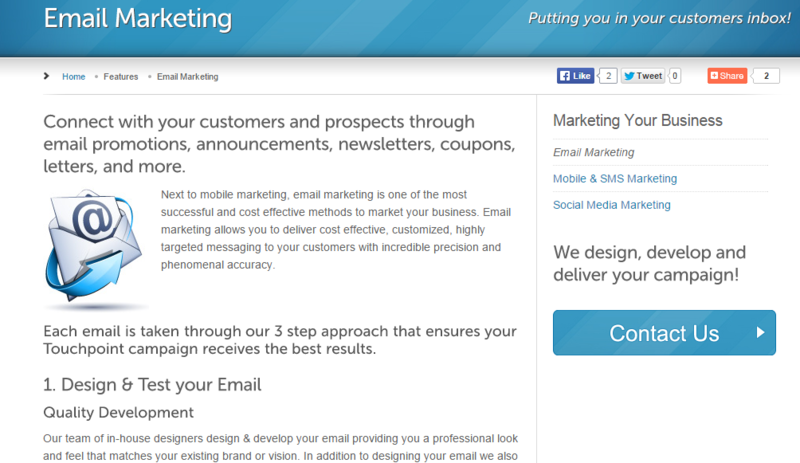 Touchpoint Technologies is a digital marketing firm offering e-mail, mobile and social marketing services. A startup company, Touchpoint Technologies needed a website that gave the company instant credibility and also explained its services in a way that prospective clients, many of whom were not familiar with digital marketing, could understand. Susan Greene, website copywriter, worked with the web designers of One Solution Studios to create a website that looked and sounded professional. As soon as the new website was launched, the sales team of Touchpoint Technologies was able to start calling on prospective customers and landing accounts. I love it! It's spot on! I've read over the website copy a few times now, and I love it! It's spot on! We will have no problem adding the right visuals to make it pop. 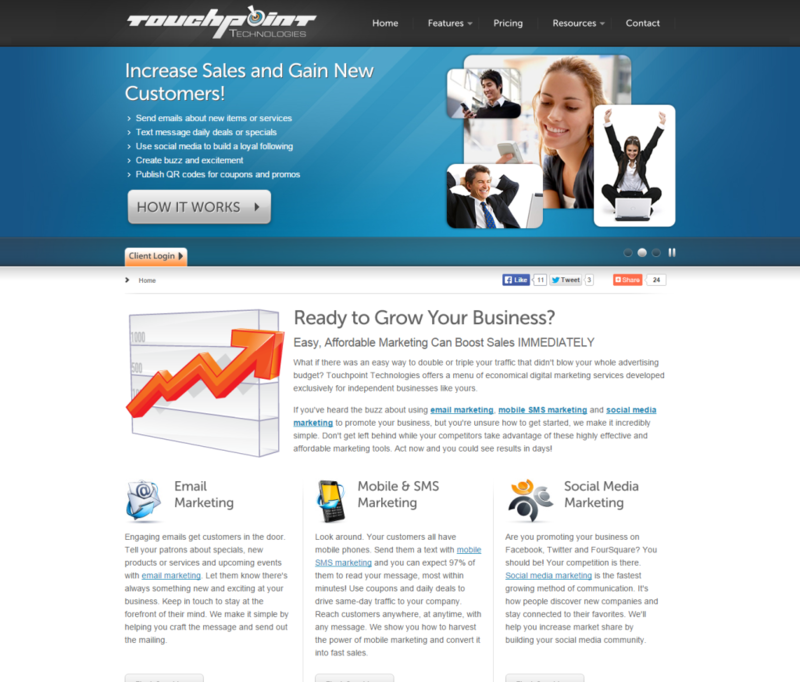 your startup business need a website for credibility? Let’s discuss your company website today!